This solo piano album is calming and brilliantly composed such that you can close your eyes and feel yourself in another place. Dancing in the rain. Holding hands with someone special as you walk a busy city street. The melancholy of loneliness, followed by the optimism of good company. It's clear he draws inspiration from cinematic themes, as his melodies feel almost... visual. As wonderful as this album is when listened to in the foreground, it is equally suited for pleasant background music while studying or hosting guests. It is complex, but not so busy as to be distracting. It can easily fit the mood socially or introspectively. 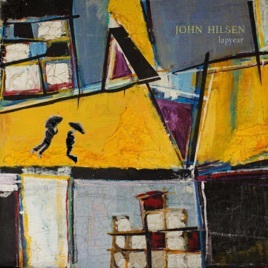 Lapyear, as a debut album for Mr. Hilsen, is a wonderful sign of things to come. And I greatly look forward to following his musical career. I loved this album!! I loved the lyrical simplicity of the music, but at the same time felt transported to a very specific, almost cinematic place in each track. It's hard to pick a favorite, but "Point B" is definitely one that I keep replaying.